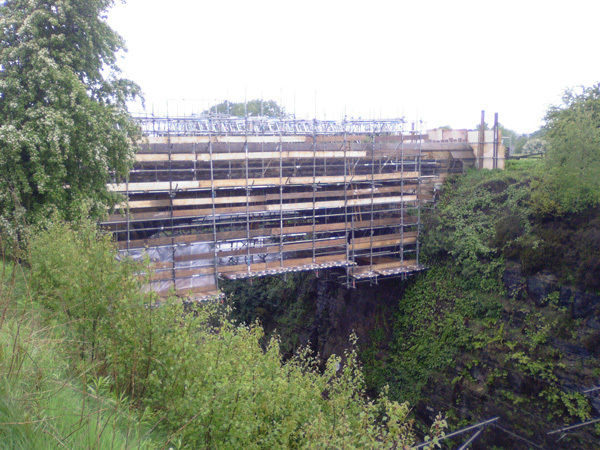 Narford Scaffolding is committed to Health and Safety and always delivers projects to the highest standards. Our motto is ‘Be Sure, Be Safe’. We believe that all employees and users of our scaffolds should be safe at all times. Safety is our biggest commitment and is driven by the Managing Director down through all levels of our management and work force. We believe in a culture based on the right attitude to safety and are developing a ‘Behavioural Safety’ policy to help raise our standards even higher. All operatives receive regular Tool Box talks, safety updates and safe working systems training. Each team member’s training record is regularly reviewed to ensure the best training is received. Narford Scaffolding has an established ‘Safety Committee’ that meets on a quarterly basis with the work force’s elected Safety Representatives. Through this committee the management get the views and concerns of the operatives as well as new ideas for a safer work environment.